The IDEAL TightSight® Clamp Meters are built to professional quality standards to withstand tough use in commercial and industrial settings. 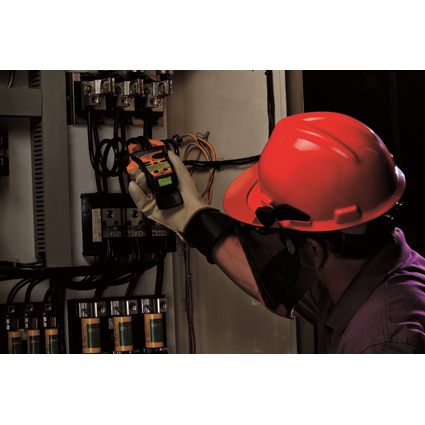 For everything from load measurement to troubleshooting industrial motors and adjustable speed drives (ASDs), the new TightSight® brings speed, accuracy, safety and ease-of-use together in one rugged meter line. The IDEAL TightSight™ clamp meter allows you to safely and easily view the current measurement due to the exclusive back lit TightSight™ display located on the bottom of the clamp meter. This is particularly useful when accessing cables deep within a distribution panel or measuring overhead. Other Products by IDEAL INDUSTRIES, INC.
IDEAL® Twister® PRO has the widest wire combination range in the industry! Twister® PRO combines innovative SureGrip™ technology with a unique swept-wing connector design, resulting in the most comfortable wire connector ever. It’s the perfect combination of comfort and performance that will make this the connector of choice for professional electricians. IDEAL Kicks off our 2019 IDEAL Nationals Qualifying Rounds! IDEAL is excited to kick off our 2019 IDEAL National Championship. Events, for qualifying rounds, are being added to the website daily. Go to www.idealnationals.com to register and find an event near you! 3.5” and 6” levels feature an integral Thumb Winder™ conduit wheel with a contoured screw designed for non-slip grip and stability. Also available in a 9" Torpedo Level. Corrosion resistant brass screw for easy vial replacement. Oversized neodymium rare earth magnets provide the highest magnetic field strength. Bottom surface features a v-groove.